In 4th and 5th grade, I want my students independently reading books of their choosing and lots of them. However, I also really love using reading centers a couple of days a week in addition to independent reading. It helps me make sure that I cover my reading standards and allows my students plenty of time to practice them. On this post, I will share some free reading games and activities to help you launch your reading centers at the beginning of the school year. One thing I have learned is that it is so important to carefully choose the reading games and activities that I use to introduce my students to reading centers and teach procedures and expectations. If you choose reading centers that are too easy, they fly through them. If you choose reading centers that are too difficult, students will become frustrated and the focus will not be on learning the procedures and expectations. For that reason, I use a carefully created pack of reading games and activities to launch reading centers (available for free near the end of this post). 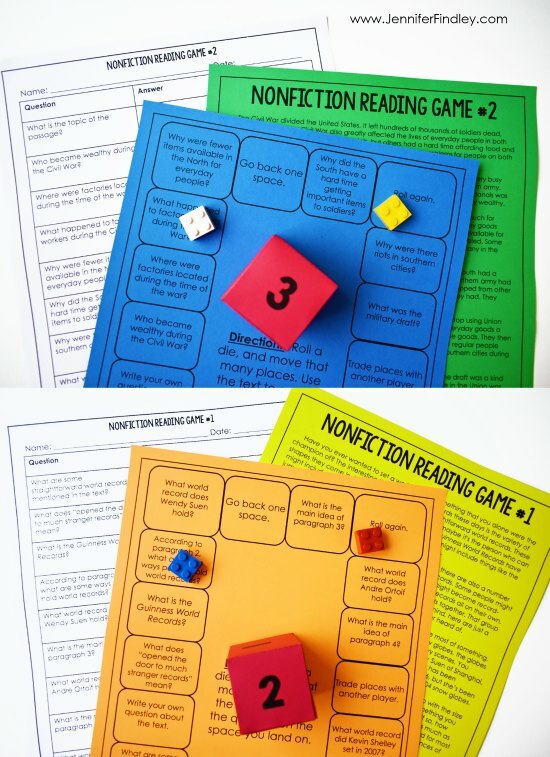 These reading games and activities are written at a late 3rd grade reading level, perfect for 4th and 5th grade readers. I specifically wrote the questions to be not tricky or too difficult. If you have read any of my math center blog posts, you know that I prefer to use consistent centers in my classroom. This way I can teach the procedures and expectations for the center or activity once, and just change the content out week to week. This allows me to set the stage for success all year! 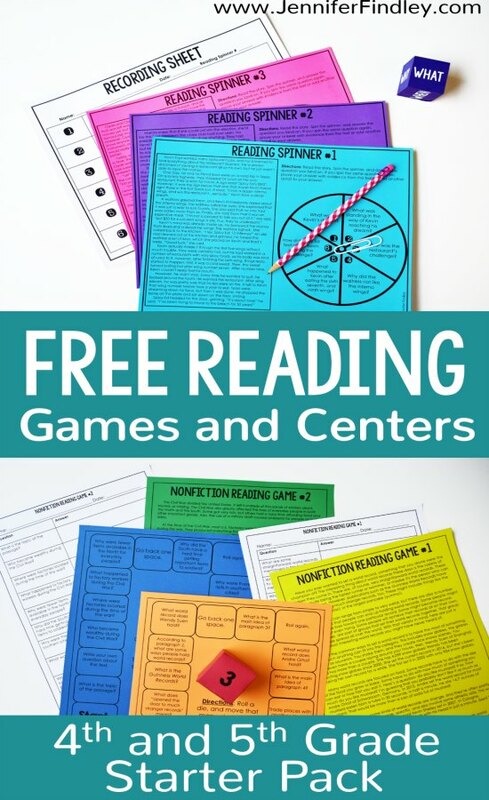 Now, let’s get into the free reading games and centers! This activity is one of my favorites because it is no prep and involves just enough coloring to be different and engaging for most students. 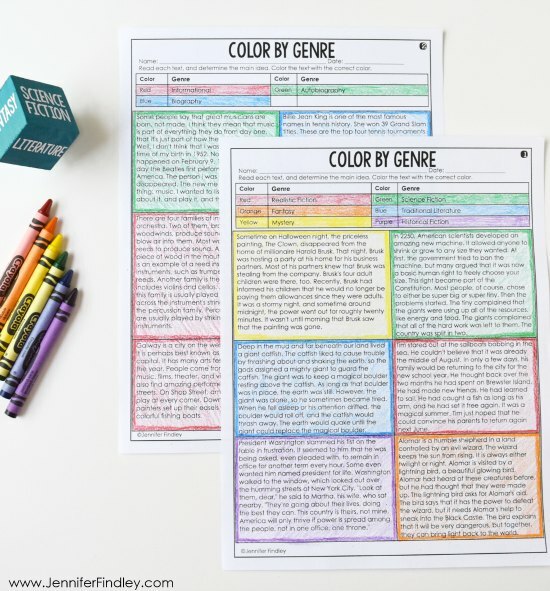 For this reading activity, the students read 6 short texts, determine the genre of each text, and then lightly color the text to match the key at the top. I teach my students to read all of the choices from the color key, then read each text, and finally discuss and prove their answers before coloring. To purchase a full set of Color by Reading Printables that reviews 10 reading skills in my TpT store, click here. Reading puzzles are another favorite reading activity of mine. 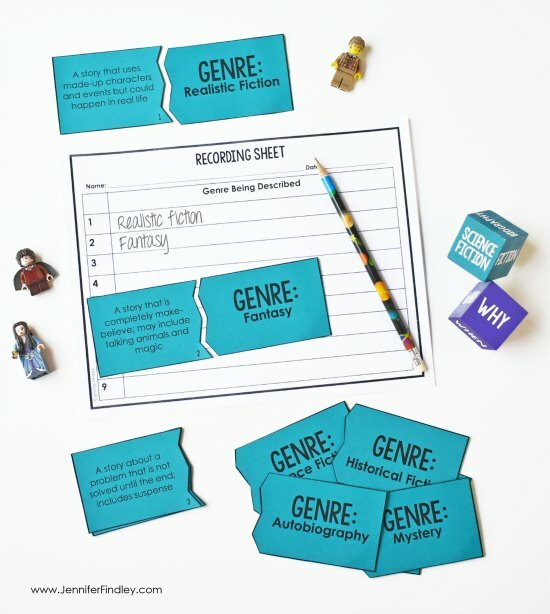 For this reading center, the students read descriptions of genres and match them to the correct genre. You can take it a step further and have them create examples for each genre. This is a shorter center so it works well when teaching students what to do if they finish a center early. Read what I do with early finishers here. If you think your students will love puzzles in reading as much as mine, click here to see more! Reading spinners are a perfect way to get your students to dig into one text and answer multiple questions about it. For this reading center, the students read a short fiction story. Then, they spin the spinner (using a paperclip and a pencil) and answer different text-dependent questions about the story. If they spin the same question twice, they either add another detail to their original answer or prove their answer using text evidence. 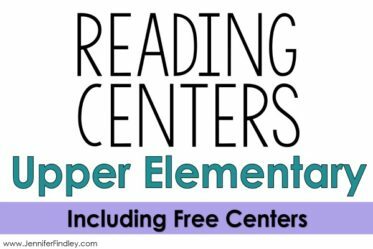 Click here to purchase more reading spinner centers that cover a variety of reading skills. This is one of my favorite reading games and even my struggling readers do so well with it. Each game (there are two in the free pack) comes with a full-page text and then a game board with questions on the spaces. I use a cube numbered 1-3 (included in the download) to keep my student playing longer since they move across the board more slowly. As a small group, you can read, analyze, and discuss the passage. Then, the students can “play” the game, revisiting the text as needed. Doing it this way makes even the lengthy text accessible to your readers. Click here to see more game board style reading centers in my TPT store. Where can I get these FREE Reading Games and Activities? Click here or on the image below to download the free reading games and activities! Do I need to use all of the reading centers? No, but you definitely can. I recommend looking through the resource and choosing the ones that you think your students will have the most success with and enjoy the most. You can always save the others to try out later. In fact, I often introduce half of my reading centers at the beginning of the year and bring out new ones to spice things up throughout the year. How is the starter pack different from your complete grade level sets of each reading center? The reading center starter pack are different because they include easier text level and easier questions. My grade level sets are standards based to 4th and 5th grade and at those text levels. 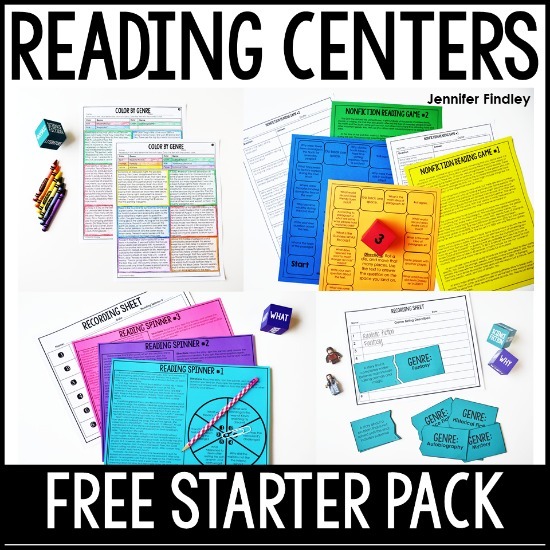 Where can I purchase more of the reading games and centers that I like? I linked the full sets in each section above, but you can also view all of my reading games and centers by clicking here. Do you have 3rd grade reading centers or a 3rd grade reading starter pack? I don’t have a 3rd grade starter pack and don’t anticipate making one until the summer of 2019. I am working on 3rd grade reading centers and you can find the current ones that I have available by clicking here. Do you have more reading center ideas other than the ones on this post? I do! You can check out several more ideas and freebies by clicking here. What about reading center management? 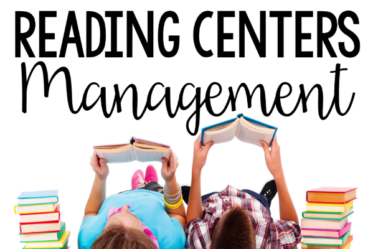 I have an entire post all about managing reading centers that you can see by clicking here. Need starter packs for math centers? If you need math center starter packs to launch math centers, click on your grade level below. They are free and each pack reviews skills from the previous grade level. Just like the reading centers on this post, these are perfect for launching math centers while you begin teaching your grade level content. 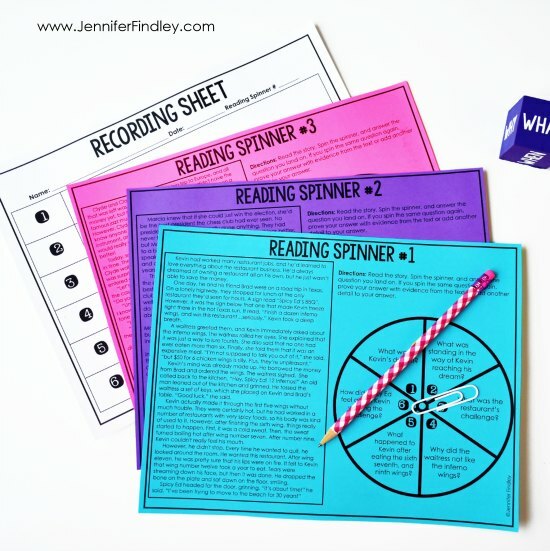 Let me know what you think about these reading games and activities in the comments! I would love to hear your thoughts. How do you organize your centers… What do you keep your games/centers in (baggie, bins, buckets, etc.)? Do kids go to a center or grab the center materials and work at desks? ?